Software Engineering, Software Ecosystems, Software Design and Architecture, Software Quality Assurance and Testing, Mobile App Development. Waqar Ahmad has extensive software industry and academic experience. He has taught a number of courses including software development for mobile platforms, software testing, database systems, and software design and architecture. Moreover, he has done research in the areas of software ecosystems and mobile localization. In the software industry, he has worked for over 9 years in different roles including programmer, system analyst and manager and also helped establish a startup. 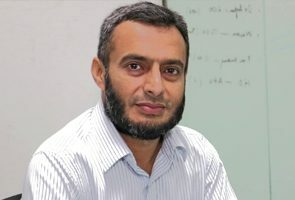 He has done his Masters in Software Engineering from Carnegie Mellon University, USA; he also holds Masters in Software Project Management and Bachelor in Computer Science degrees from FAST-NUCES, Lahore. Waqar Ahmad, Christian Kaestner, Joshua Sunshine, and Jonathan Aldrich. 2016. Inter-app communication in Android: developer challenges. In Proceedings of the 13th International Conference on Mining Software Repositories (MSR '16). Waqar Ahmad, Joshua Sunshine, Christian Kaestner, and Adam Wynne. 2015. Enforcing fine-grained security and privacy policies in an ecosystem within an ecosystem. In Proceedings of the 3rd International Workshop on Mobile Development Lifecycle (MobileDeLi 2015). Waqar Ahmad and Sarmad Hussain. 2011. Enabling Complex Asian Scripts on Mobile Devices. In the journal Localisation Focus-The International Journal of Localisation. A book titled “Localization of Mobile Platforms” has been published in 2012. This book provides detailed guidance on developing mobile apps that involve local languages content.